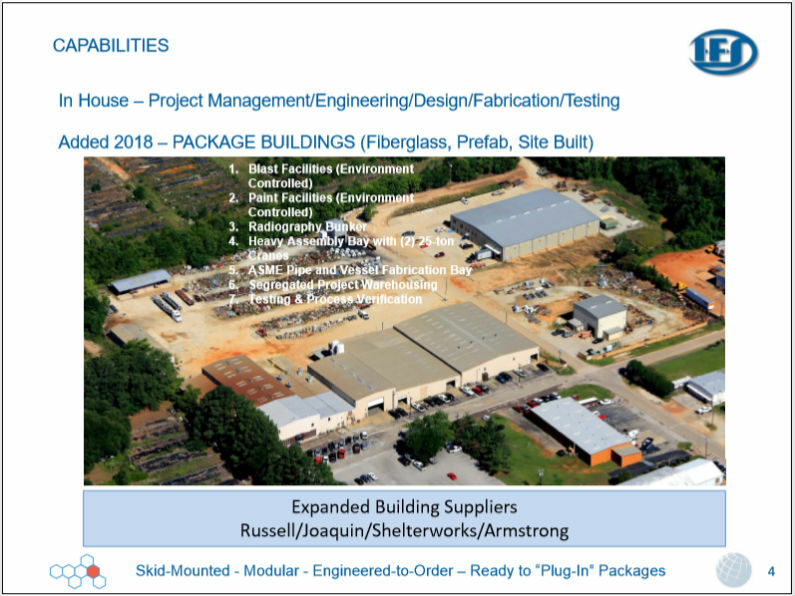 IFS uses a plant wide Microsoft Project Schedule for all in house orders. In 2018, IFS added “Planned Orders” to the Project schedule to improve “on time” deliveries. 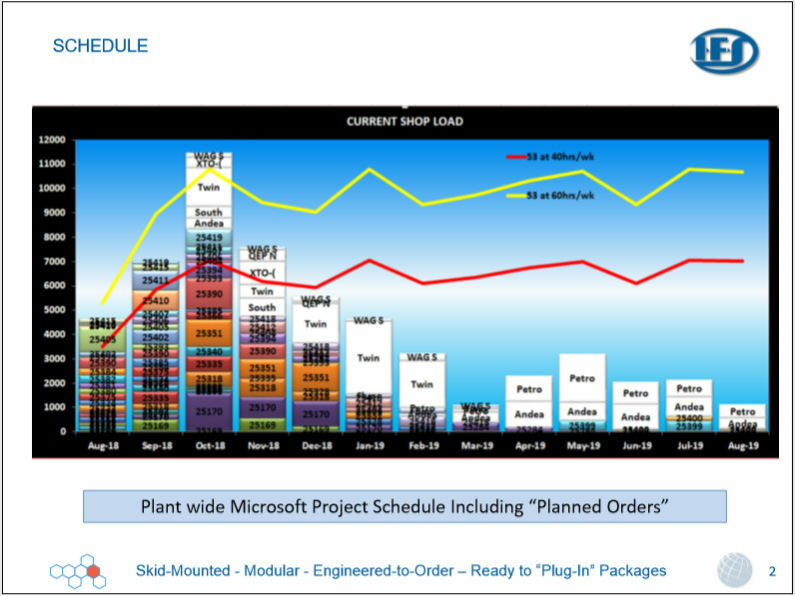 The “Planned Orders” are incorporated into the Microsoft Project Schedule to insure the engineering, materials, and labor are available in the proper time sequence for an “ON TIME” shipment. 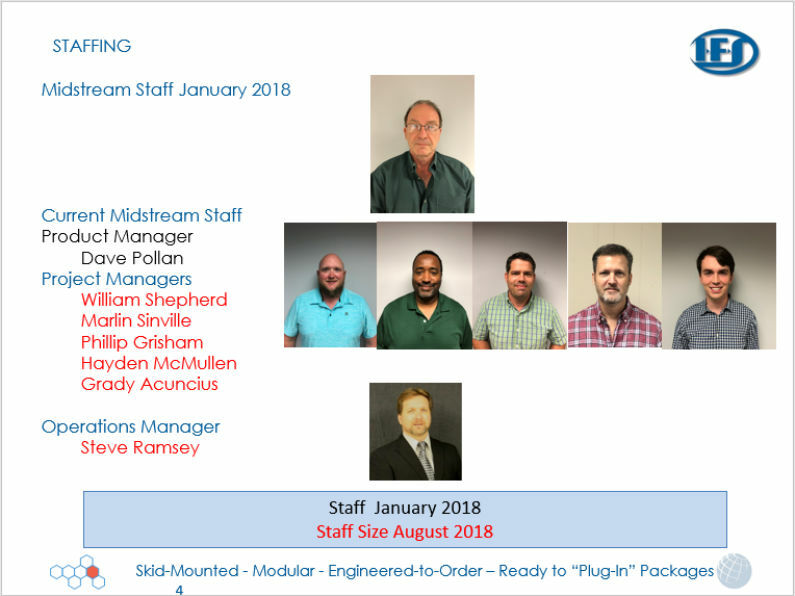 IFS has increased the PSM staffing to include (5) Project Managers all reporting to Dave Pollan, IFS Product Manager. The PSM team was expanded to manage the increased workload from the IFS PSM sales team. IFS also added Steve Ramsey, Operations Manager in March 2018. IFS fabricates all carbon steel and stainless steel piping in house to ASME Section IX. IFS added (3) welding positioners, (4) new welding stations, (4) Miller Pipeworx 400 welding machines, & (1) 20” cut off saw. IFS is now running a second shift with a dedicated supervisor for increased throughput. 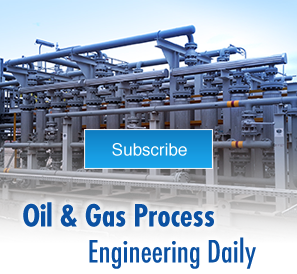 IFS has designed and built control panels for (20) years but the fabrication area in the main plant needed upgraded. 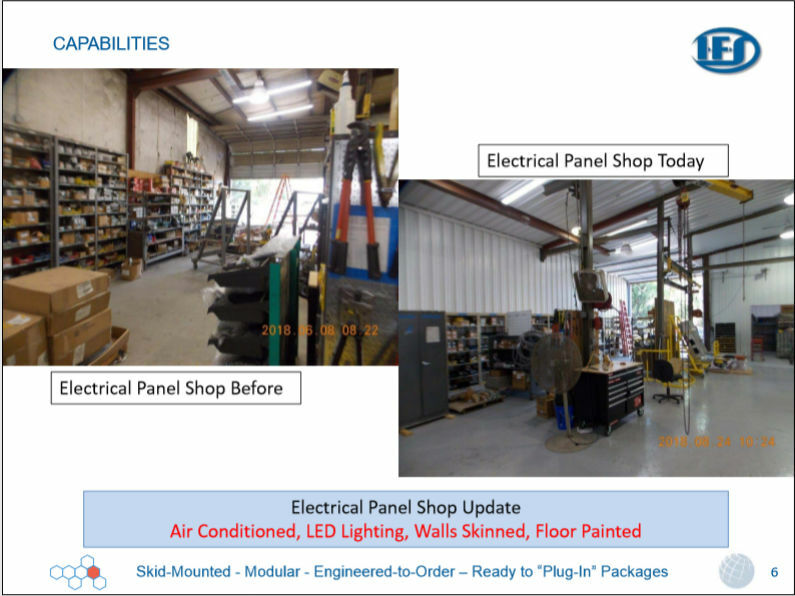 In 2018, IFS enclosed, air conditioned, and installed metal panels inside the existing panel shop fabrication bay providing a clean new look. IFS has added job boards on each package moving through the shop with budget vs actual hours for all shop functions updated daily. 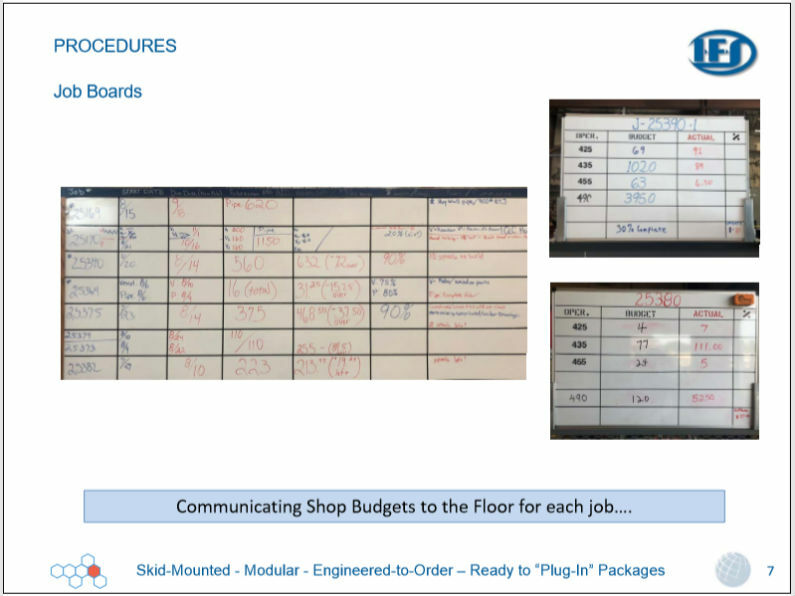 The information provides the floor supervisors with much greater visibility for in process work. IFS offers complete package “wet testing” for all packages. IFS can start electric motors up to 2500 hp/4160 volt/3 phase. On site water storage consists of (2) 20,000 gallon water tanks to insure endurance testing with minimal thermal heating. 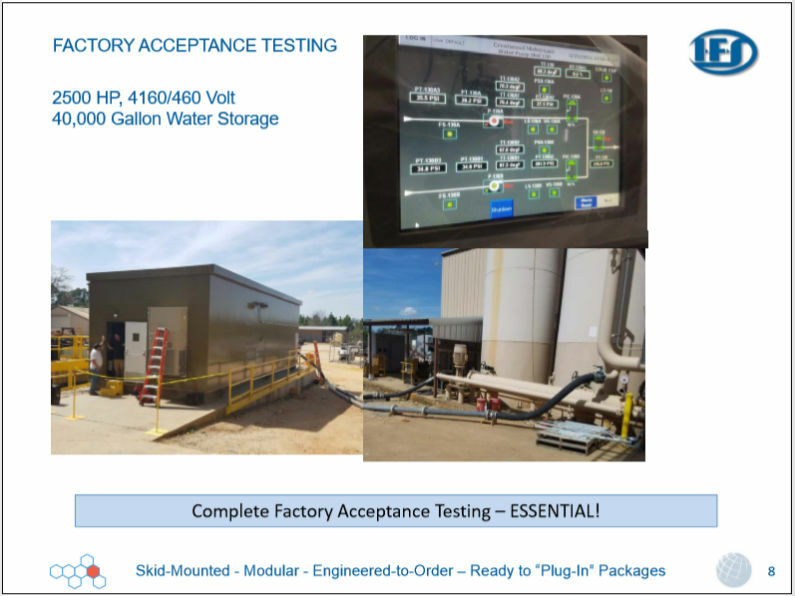 It’s a proven fact, Wet testing makes start up go MUCH smoother. 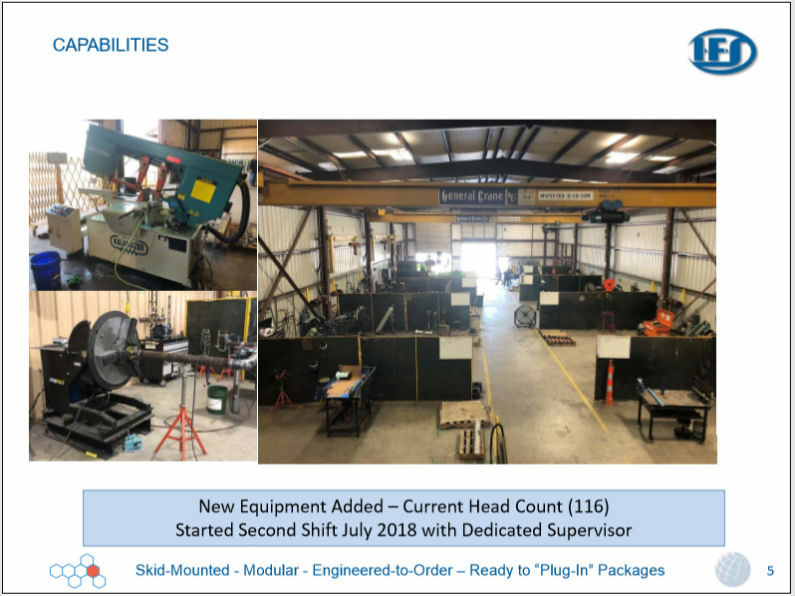 IFS has made several facility & personnel improvements over the last (6) months at IFS’s Tyler, Texas plant to better serve the Production Storage & Measurement market in USA. IFS fabricates all carbon steel and stainless steel piping in-house to ASME Section IX. IFS added (3) welding positioners, (4) new welding stations, (4) Miller Pipeworx 400 welding machines, & (1) 20” cut off saw. IFS is now running a second shift with a dedicated supervisor for increased throughput. 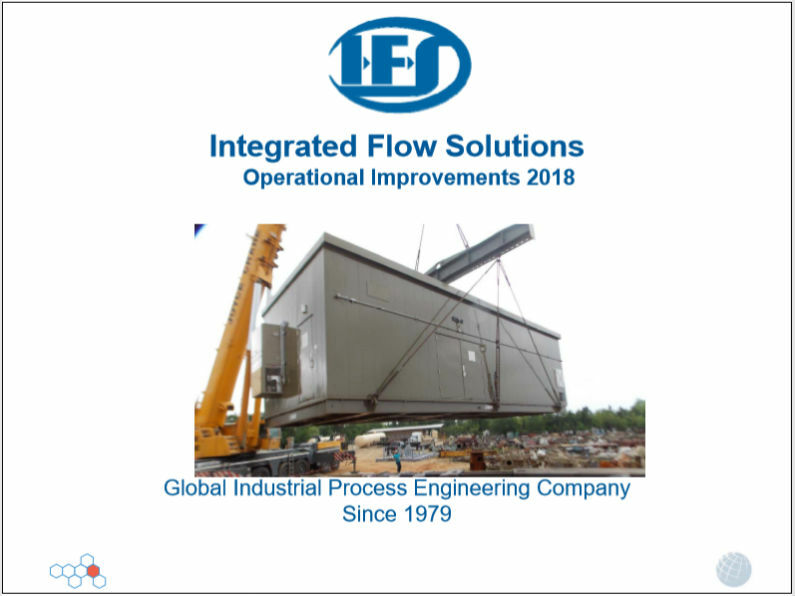 If you’re in need of experienced process skid manufacturers, contact Integrated Flow Solutions today.